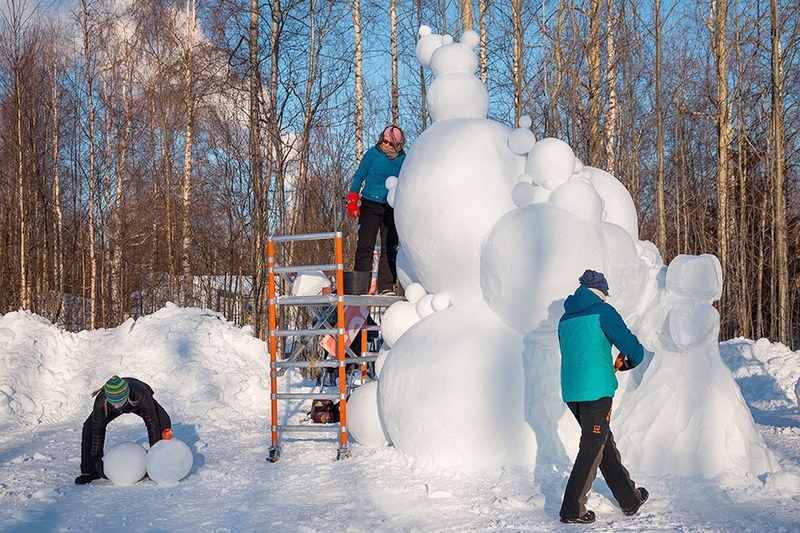 Snow sculpting champions will be crowned once again in Oulu’s Nallikari. The international snow sculpting contest Baltic Snow Call will be arranged for the second time in February 2019 in Nallikari. The contest brings together top snow sculptors to fight for gold and glory in Nallikari, Oulu Finland. The first event was a success and raised a lot of interest from all over the world. Therefore, the second event is open for countries also outside of the Baltics to apply. There are ten teams participating in this unique Finnish event. The top three teams from last winter – Russia, Finland and Estonia – are automatically invited to the contest and the seven remaining teams are chosen based on their applications. The open application period is currently ongoing and the participating teams will be chosen in early December. Similarly to last year, the contest will be held in the winter wonderland of Hietasaari district in Oulu. The event area is in the immediate vicinity of Nallikari Holiday Village and Nallikari Winter Village. The teams have a total sculpting time of 40 hours during the four days of the competition. The event will end with a closing party and awards ceremony. The sculpture park will be open for all to admire after the event. Baltic Snow Call event is held 20–24 February, 2019. The snow sculpting contest is organised by Ikitalvi ry association in co-operation with Nallikari Seaside Oy and Vauhtipuisto Oy and made possible by many local organisations’ support and co-operation. Internationally renowned snow sculpting professional Janne Andberg from Ikitalvi ry is the Head of the Contest, and the event’s Art Director is local sculptor Anna Koivukangas from Oulu. The event’s guardian and Head of Judges is Juhani Lillberg, the Chairman of the International Association of Snow and Ice Sculpture.